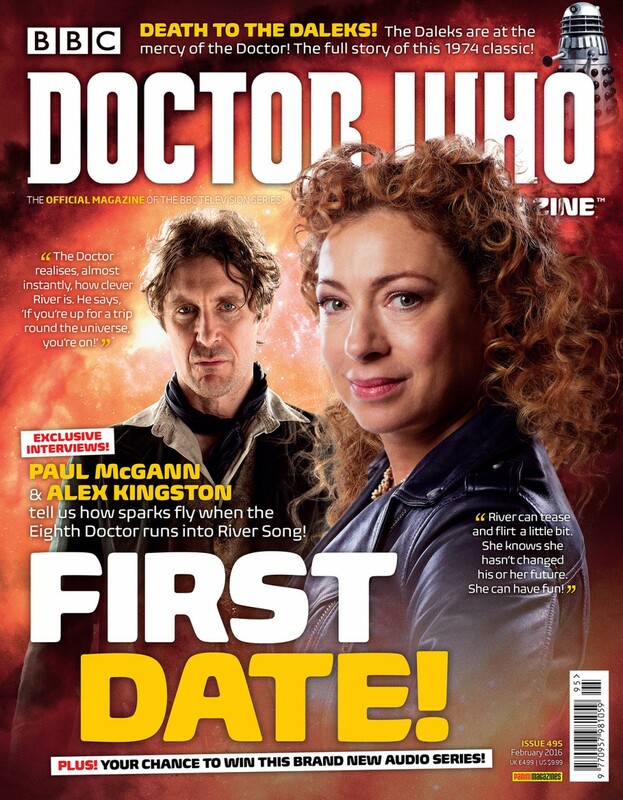 FIND OUT HOW RIVER SONG MEETS THE EIGHTH DOCTOR – IN THE NEW ISSUE OF DOCTOR WHO MAGAZINE! Doctor Who Magazine finds out what happens when River Song runs into the Eighth Doctor in the new audio series The Diary of River Song – and interviews both Paul McGann and Alex Kingston! Doctor Who showrunner Steven Moffat answers readers questions about the recent episode Heaven Sent – and find out whether the Doctor ever had to run around the castle naked!